The medical field is no stranger to the explosion in technological advancement in recent years. With expanding technologies come new ways to perform the same tasks. Not all tools are created equally, and it’s natural to wonder which alternative is the best choice. Any medical professional understands that every situation – and every patient – is different, making it more difficult to arrive at a definite answer. 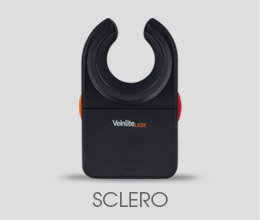 In the area of vein access, there are three main technologies used throughout the medical field: Near Infrared (NIR), Ultrasound, and Transillumination. 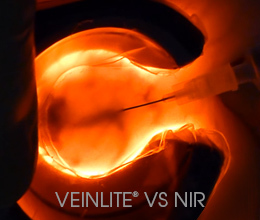 Here we explore the differences and why Veinlite’s patented transillumination technology holds distinct advantages over others. 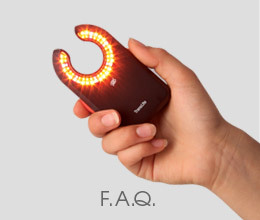 Near Infrared – Products using NIR technology are easily recognized by the bright (usually red, orange or green light) they shine upon the skin. A technician will typically use the device to project light on the target vein access area. NIR light relies on the hemoglobin inside veins to absorb the infrared light, resulting in a map of the veins on the skin’s surface. This essentially provides a picture of the anatomy of a patients’ venous structure. While this may be visually impressive, NIR hinders the technician in many aspects. For one, the projection on the skin makes it more challenging to determine the actual depth of the vein. Also, teams will need a second or third technician to help with the insertion, as one person must hold the near infrared unit in place so that the other can continue with the procedure. Furthermore, patients can find these large and cumbersome devices intimidating, causing anxiety. 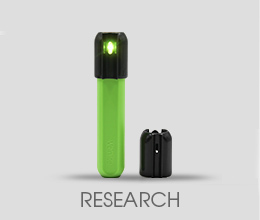 NIR devices cost upwards of approximately $15,000 per unit. Ultrasound – This technology uses soundwaves to help image venous structures and surrounding tissues on a screen for the technician. A strong pulse of sound is sent into the body from the transducer and the reflection of the pulse is detected to map the deeper structures. A new version of the Ultrasound that detects blood flow is called Doppler Ultrasound because it can detect the flow of blood from the shift in frequency of the reflected wave from an object. The use of Ultrasound during vein access is mostly for deeper veins 6 mm or more the skin. Examples include Peripherally Inserted Central Catheters (PICC) and Ultrasound Guided peripheral IV Access (USGPIV) lines. Both these procedures require a fair amount of training. Ultrasound units can cost anywhere from $10,000-$30,000. Associated with each use are supply costs ranging from $45-$450. Transillumination – Veinlite®’s transillumination technology is based on the use of bright, colored LEDs that are positioned directly on the skin’s surface during a vein access procedure. As this light passes through the skin, deoxygenated blood absorbs some of the light. The result is a true representation of not only the location of the vein, but also the size and depth of the vein. 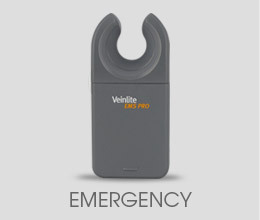 In addition to locating veins, Veinlite also secures them to prevent rolling, aiding technicians in successful vein access. 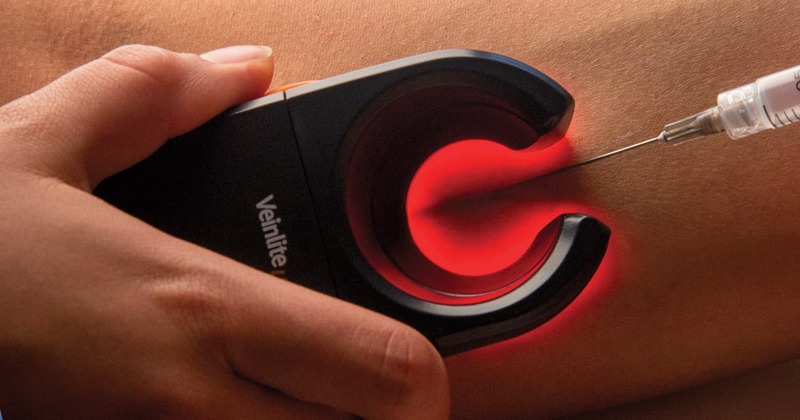 Veinlite is effective in finding veins up to 6mm deep. 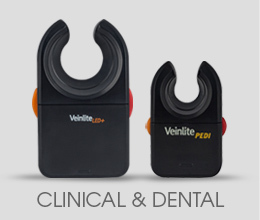 All Veinlite® device are small and portable to allow for quick access and usage. The simple handheld form factor requires just one technician and no formal training to use. 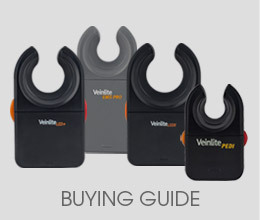 Depending on the model, Veinlite® units cost anywhere between $270-$440. 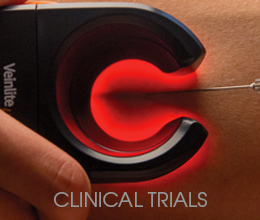 Veinlite® is clinically proven to provide a significant improvement in first time success rate over any other method. This results in patient satisfaction, technician confidence, and savings in supplies used. 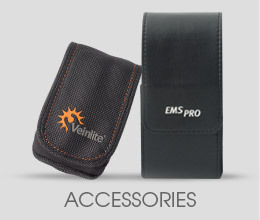 The world's only genuine and patented Veinlite® transillumination devices are manufactured in the USA by TransLite LLC. So, what is the optimal solution to quick venous access in a pinch? If you are unable to visually see an accessible vein, reach in your pocket for Veinlite® and take the guesswork out of vein access procedures.